Ed Sheeran Debuted 3 New Songs This Week, So Is It Time To Get Excited For A New Album? Chances are, you're in love with Ed Sheeran — or at least his music. The English singer-songwriter has pretty much taken the world by storm, and for good reason: he's amazing. He's an incredibly talented musician as well as an all-around cool guy, so it's no wonder that he's so many girls' (and guys'!) ultimate celebrity crush. And while his last record, X, is likely still getting plenty of play on our iPods, I know I'm not just speaking for myself when I say that we totally wouldn't mind hearing some new tracks, either. 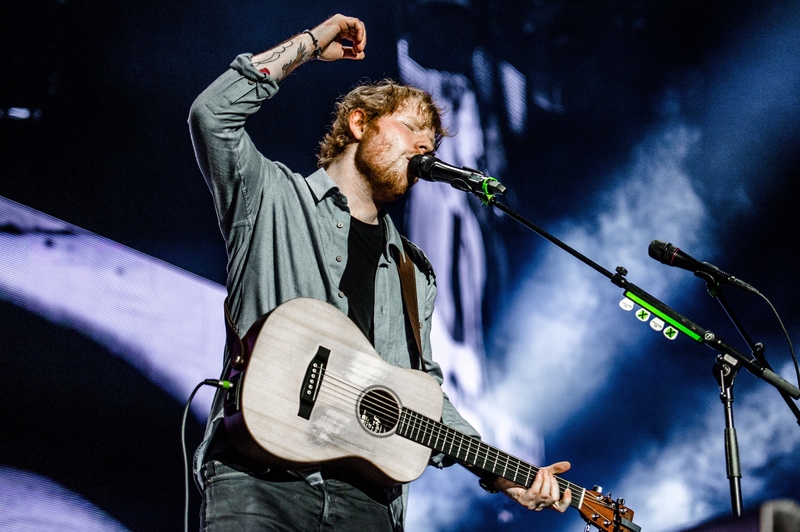 Thankfully, we're in luck, since Sheeran debuted three amazing new songs on Friday, May 29, while performing in Queens, New York. The three new songs — called "Sweet Mary Jane," "Forever," and "English Rose" — are all beautiful in their own way, and show off just how talented Sheeran is when it comes to crafting music in terms of melody, as well as lyrically. The sound is so undeniably his own; it proves that he doesn't need a full band or showbiz frills to just be his immensely talented self. I know X was released less than a year ago, but I have to admit that after hearing these tracks, I'm desperate for his next album now. As you can tell, "Sweet Mary Jane" delivers that signature Sheeran groove. There's melody there and a great beat, and the topic is tongue-in-cheek (and likely related to his love of smoking marijuana). I can totally see this as a future single. Meanwhile, "Forever" has that romanticism that has won the hearts of female fans all over the world, and I'm sure will end up on many a relationship mixtape (or playlist — whatever kids are doing these days) when there's a properly recorded version. Finally, "English Rose" gets a bit more uptempo again, taking on an almost country twang. It might be my favorite of the bunch — at least on first listen. After listening to these new tracks, one thing is for sure: Sheeran is an incredibly versatile artist who's definitely here to stay. There's no one else in the business that's doing what he's doing or that sounds anything like him. And perhaps that's why he's done so well. The industry was clearly in need of an artist that could sing, play, and write in ways that hadn't already been done, and Sheeran certainly fit the bill. I just can't wait to see what he comes up with next.